Most people are relieved to find a superior on whose judgment they can rest. That, indeed, is the difference between most people and Generals. Books are companions, teachers, magicians, bankers of the treasures of the mind. Books are humanity in print. For me, the card catalog has been a companion all my working life. To leave it is like leaving the house one was brought up in. No more distressing moment can ever face a British government than that which requires it to come to a hard, fast and specific decision. To a historian libraries are food, shelter, and even muse. The fleet sailed to its war base in the North Sea, headed not so much for some rendezvous with glory as for rendezvous with discretion. To put away one’s own original thoughts in order to take up a book is a sin against the Holy Ghost. 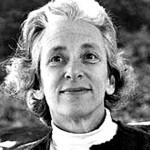 Barbara Wertheim Tuchman was an American historian and author. She became widely known first for The Guns of August later August 1914, a best selling history of the prelude to and the first month of World War I, which won the Pulitzer Prize for General Non-Fiction in 1963. Tuchman focused on writing popular history. Also in 1980 the National Endowment for the Humanities selected Tuchman for the Jefferson Lecture, the U.S. federal government's highest honor for achievement in the humanities. Tuchman's lecture was entitled "Mankind's Better Moments.